Asian beauty products have taken the world by storm in the last few years. Though the Koreans seem to be leading this parade, the Chinese are not far behind. They are making us realize that Asia is a treasure trove of ancient beauty secrets that is steering the beauty world in new directions constantly. Jade roller is one such tool that is blowing up right now. 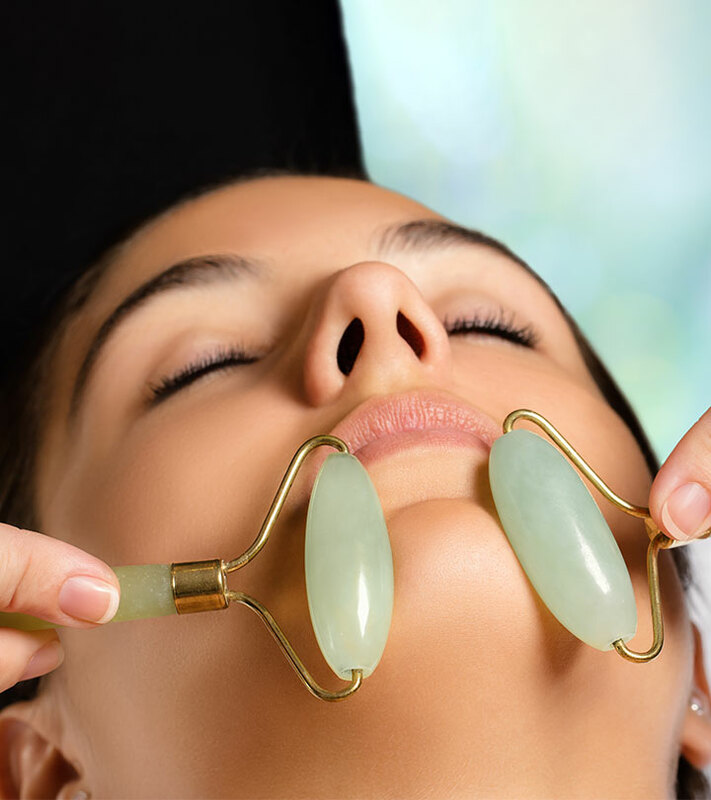 Jade rollers improve blood circulation, boost lymphatic drainage, reduce the bags under your eyes almost instantly, and leave you with defined features. If you follow your morning and night skin care routines religiously, a jade roller can help the products get absorbed into your skin more easily and enhance their efficacy. There are a ton of jade rollers available on the market right now. Not sure which one to pick? We have listed out the top 10 jade rollers you can get your hands on. Check them out! The holy grail of face massage tools is here to treat your headache, stressed muscles, and sinus, and leave you feeling better almost instantly. 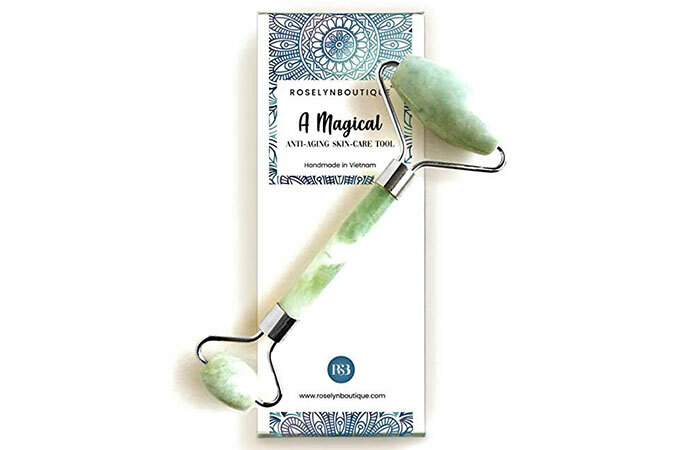 Witty Rose Quartz Jade Roller makes your skin more receptive to skin care products, giving you the most bang for your buck in every sense. 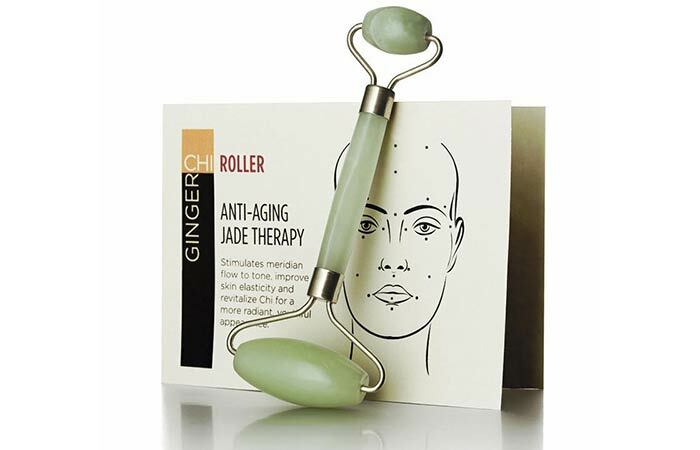 This anti-aging therapy jade roller from GingerChi is one of the best on the market right now. It is double-sided, with one small stone for the area around your eyes reduce puffiness, and a big stone for the larger areas of your face. The kit comes with argan oil, which is nourishing and has anti-aging properties. 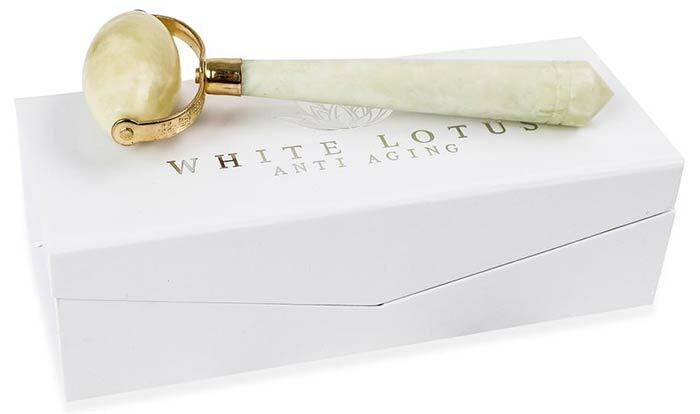 The White Lotus Jade Roller is hand carved by artisans using the highest quality stone. Its handles are sturdy and comfortable to hold. You can remove the roller, rinse it in soapy water, and put it back easily. Use your favorite serum or essential oil with this roller to pamper your skin. 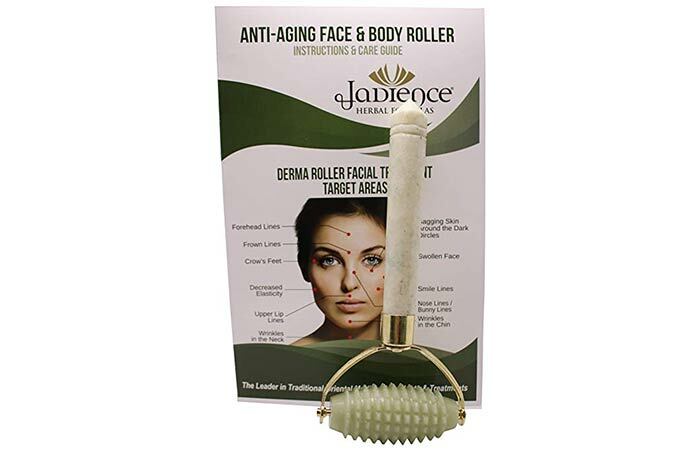 Jadience Jade Roller glides oh-so-smoothly on your face. Massage your face with it in a circular motion to stimulate blood circulation, tighten your skin, and reduce the size of enlarged pores. This kit comes with an instruction manual that explains how best to use the roller. Just because you have sensitive skin, it does not mean that you cannot use skin care tools that offer great benefits. 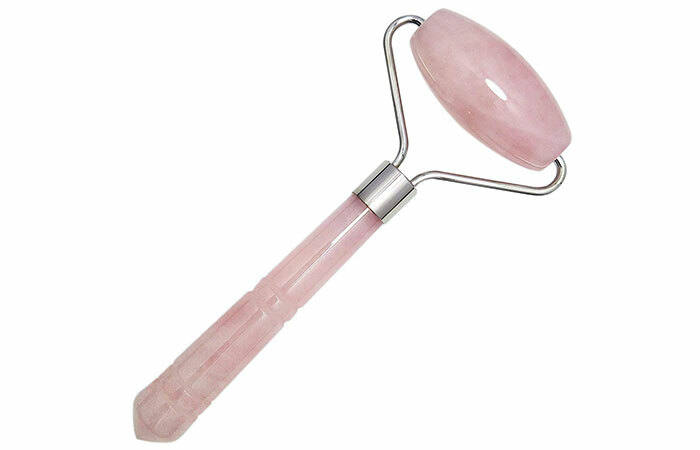 The Rose Quartz Jade Roller is known for its cooling and calming effect on overstressed muscles. It is also known for its healing properties. It can be used on acne- and rosacea-prone skin. 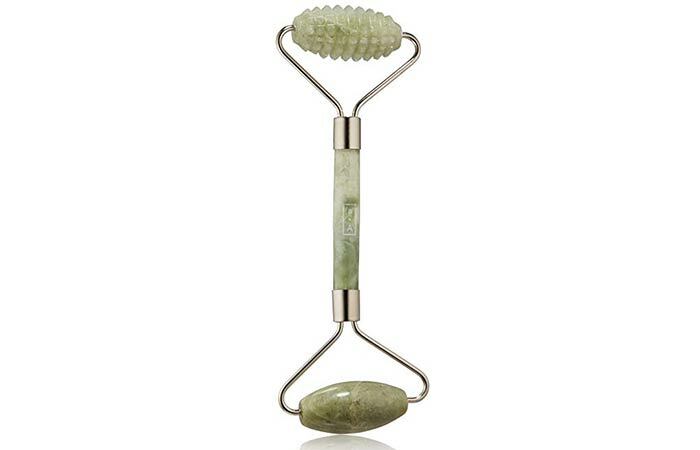 This dual-action jade roller, with a studded roller on one end and a smooth on the other, gives you a spa-like experience with every single use. The studded roller activates your skin’s pressure points to improve blood circulation in the dermis layer and improve skin elasticity over time. 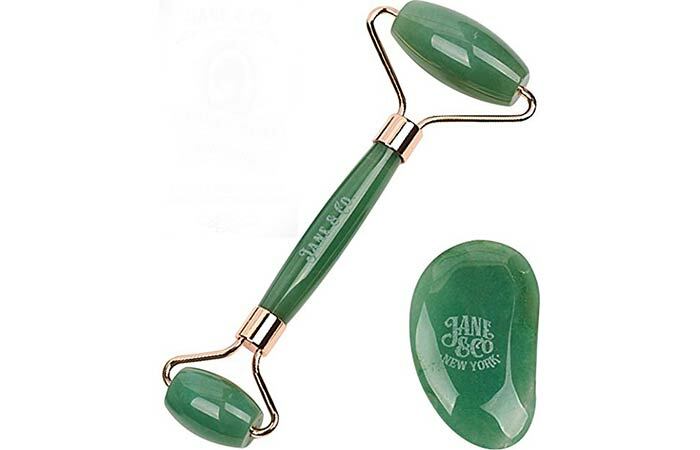 Jane & Co Spa Jade Roller is made from authentic Himalayan jade stone and comes with a Gua Sha tool. This roller is carefully crafted to gently massage your eyes to reduce puffiness and dark circles. 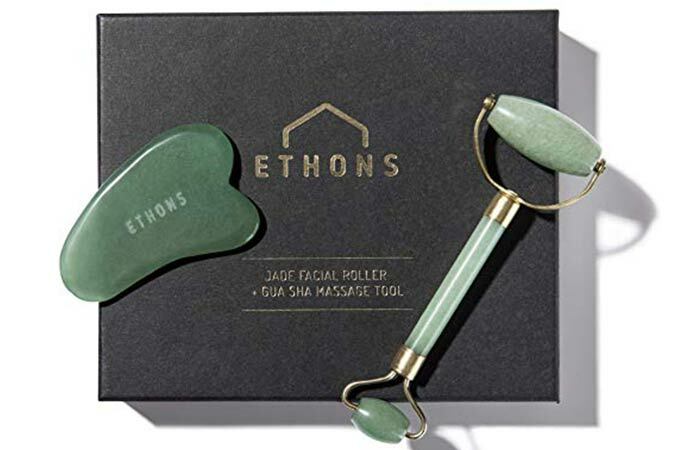 Ethons uses the highest quality stones to make their jade rollers and test them for quality before sending them out. This well-rounded tool glides smoothly on your skin. It leaves you energized at the end of the massage. The smaller roller makes a squeaky sound. The Gua Sha tool may not be delivered when ordered online. Looking for something that can improve the overall texture and health of your skin, reduce fine lines, improve blood circulation, and give you a natural glow without using any chemicals? 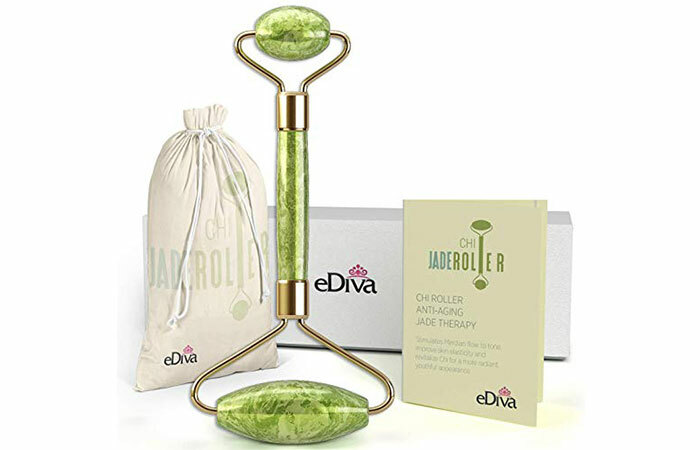 The eDiva Chi Jade Roller Kit does just that. Roll this roller from your forehead to your neck and use the smaller stone around your eyes. Roselyn Biotique Natural Jade Roller is made from genuine and natural jade stone. It lasts long and can be used all over your body. It rolls smoothly onto your skin, is easy to clean, and comes with a little bag to carry around. If you are looking for an anti-aging tool, you cannot miss this one. 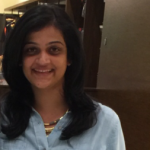 It can be difficult to keep up with the ever-changing beauty trends, so you need to choose your battles wisely. The trick is to use products that are natural, herbal, or ancient, so you know it’s not another fad. Have you heard of jade rollers before? What do you think? Let us know by dropping a message in the comments section below.